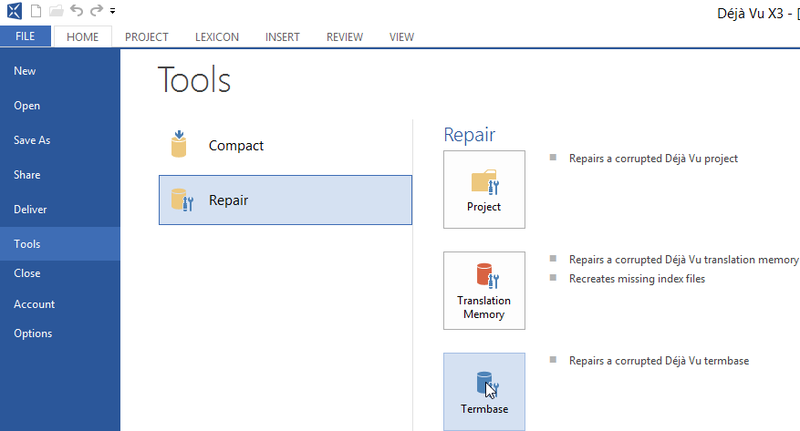 Access the menu option File>Tools>Repair>Terminology Database. With the file selection dialog that appears, navigate to the folder that contains the Terminology Database you wish to repair , select it and click on Open. A new window with a progress bar will appear to show the state of the repair process. Once it completes, the message Repair was Successful will appear. You can click on OK to continue.